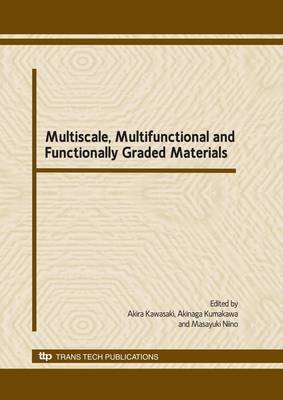 Functionally Graded Materials (FGMs) are multifunctional materials which exhibit spatial variations in composition and microstructure; created for the specific purpose of achieving variations in thermal, structural or functional properties. They are presently at the forefront of materials research and are receiving worldwide attention. They enjoy a broad range of application; including, for example, biomechanical, automotive, aerospace, mechanical, civil, nuclear and naval engineering. New applications are continually being discovered and developed. This collection of peer-reviewed papers is intended to impart new ideas, state-of-the-art techniques and recent developments in the field of FGMs. The topics covered include: Processing, Manufacturing, Design and Characterization, Modeling and Simulations, Multiscale Multiphysics Modeling, Nano-FGMs, Biomedical and Eco-materials, Biomimetic Materials, Multifunctional Materials, Energy Conversion Materials and Devices, Topology Optimization and Homogenization, Thin Films and Coatings, Surfaces and Interfaces, Computational Techniques, Testing and Characterization, Industrial Applications and Commercialization. It would be difficult to find a more timely and up-to-date coverage of the subject.